Nashville, Tenn. (Jan. 9, 2018) – Brad + Rebekah’s Sound Of Heaven will debut onFeb. 16, marking the couple’s seventh album in their 10 year-journey as a worship duo. The forthcoming record stemmed from a four-year trek of asking around 50 pastors nationwide what is needed in the worship songs of the church. The topics that came back in response ranged from obedience and surrender to brokenness and healing. The most common theme that emerged, however, was identity. 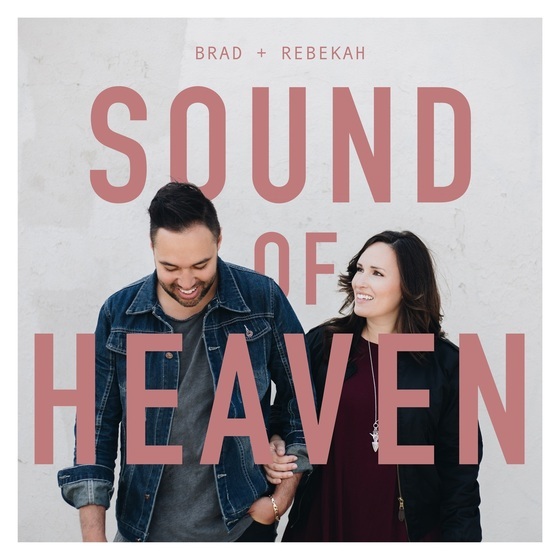 Though unique in its theme, Brad + Rebekah’s latest work is consistent with their previous albums’ thoughtful, passion-provoking worship songs steeped in theology. The duo explains that the Sound Of Heaven is the people of God. "These songs are a declaration of the desire to walk in the identity of Christ and be the audible and visible Sound of Heaven," adds Rebekah. Surrounding the February release of Sound Of Heaven, Brad + Rebekah will play shows spanning Honduras, New York, Pennsylvania and more. For the latest information, visit www.bradandrebekahmusic.com.